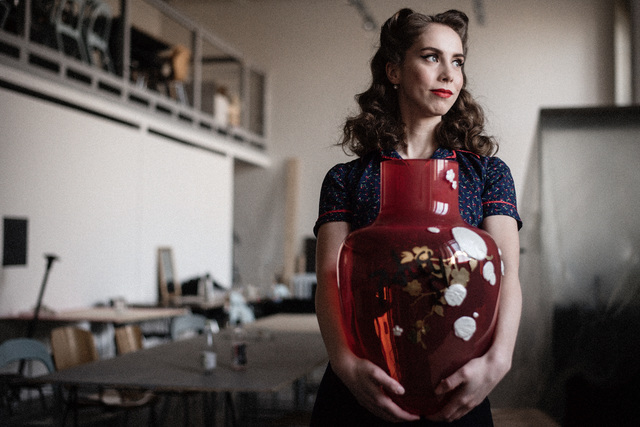 Glass designer Dominika Petrtylová is focuses on vase design and glass painting. She takes Inspiration from its immediate surroundings - in nature, in town, but also in people. At first glance, her hobbies are the 40s - fashion, hairstyles, but also the cheerful dance of lindy hop. She also loves flowers and various aquatic creatures.